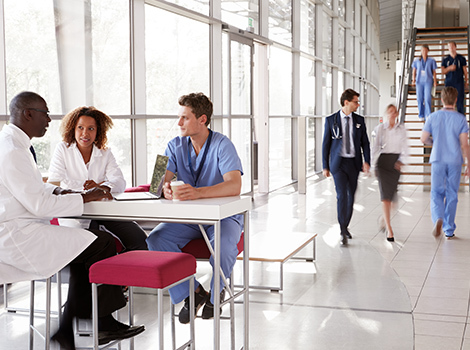 When it comes to making the switch from a hospital setting to ambulatory or outpatient practices, there’s a lot to consider. From improved work/life balance to close-knit teams, ambulatory practices offer many benefits to Registered Nurses. Hear from Practice RNs from our 650+ ambulatory locations to discover why they love working in physician practices! Practice RNs working in an ambulatory or outpatient offices have the unique opportunity to bond with their patients long-term. Having regular appointments lets nurses and patients connect and get to know each other outside of a hospital setting. Working in a physician practice also offers greater work/life balance for our RNs. Shorter business hours and no night shift means as a practice RN you can enjoy your nights at home. No or limited working weekends means more time together with your friends and family. 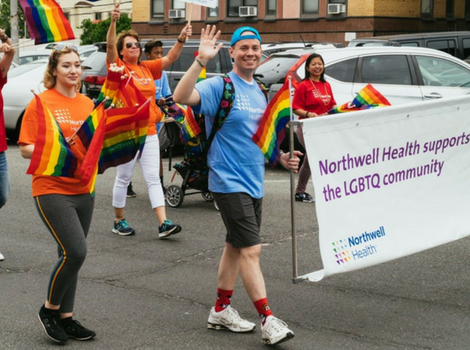 With 650+ locations throughout the Tri-state area, Northwell Health gives you the opportunity to work in your own backyard. Find your perfect work commute when you choose a location from our physician practices across Long Island, Manhattan, Queens, Brooklyn, The Bronx, Staten Island and Westchester. More locations means more choices! Find the right fit for you when you choose from Northwell’s dynamic range of work environments. With 650+ locations, it’s easy to find a site that matches your speed no matter your preferred pace. There’s also never a need to worry about getting stuck in one place. With limitless opportunities, our nurses have the potential to move between practices and locations. Within the last two years, Northwell Health has doubled our number of physician practices. As our hospital services continuously expand, we’re acquiring more and more practices to support our services. This means good news for our practice RNs – our ambulatory practices only continue to grow alongside our health system! With typical business hours of 8am-6pm, practice RNs can also enjoy the perk of flexible shifts! Having shifts with various hours gives you the chance to choose a schedule that works best with your lifestyle. Enjoy shifts from 9am-5pm, 8am-4pm, and 10am-6pm, so you can plan your day around the needs of your family. Preventative care also helps make practice RN careers especially rewarding. Being able to bond with your patients allows our nurses to not only treat patients when they’re in need, but help educate them on how to prevent them from needing future care. The encouragement and knowledge our nurses share with patients helps patients develop healthy routines and habits that make a huge difference in their lives. Another advantage of working as a Registered Nurse in a Physician Practice means creating strong bonds with your physicians. Working at in an ambulatory setting means more collaborative care with the physicians as you work as a team to provide your patients with the best care possible. There’s no better place to spend the holidays than with your family and friends. No or limited holidays working means you get to spend invaluable time with your loved ones. With a smaller group of RNs and physicians, the workplace in ambulatory or outpatient settings is a close one that’s Truly Together. Build a strong with your team to create an atmosphere that’s more like family! Are you Made for nursing? We’re hiring nurses at our physician practices now. Click to see current open positions! That is awesome that being a registered nurse can give you the perks of a flexible shift. That sounds like something that I would appreciate so there can be more time spent with family. Maybe I should look into becoming a registered nurse.